The overall 5-year survival rates for esophageal cancer are less than 15%. Although esophagectomy has been the traditional gold standard for early stage disease, optimal treatment for localized disease has generated debate in light of the overall poor survival rate. In 2013, the Society of Thoracic Surgeons (STS) published a set of clinical practice guidelines for the diagnosis and treatment of localized esophageal cancer in Annals of Thoracic Surgery. 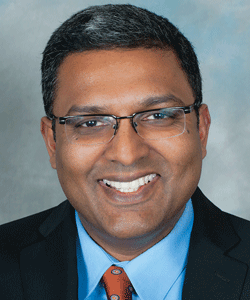 “The guidelines are the first of a series by the thoracic surgical community to use evidence-based practices for evaluating and treating these complex patients,” says Thomas K. Varghese Jr., MD, MS, who was the corresponding author of the STS guidelines. “They set a precedent for surgeons to play a pivotal role. 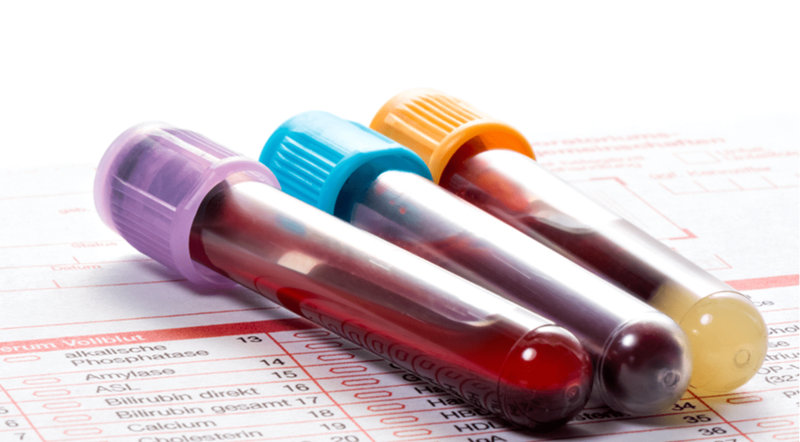 Diagnosing and staging are critical steps in the decision-making process when selecting optimal therapy.” The recommendations were developed to help clinicians deliver evidence-based best practices for all patients at all times. A key recommendation in the STS guidelines is that CT of the chest and abdomen or PET-CT are recommended tests for staging locoregionalized esophageal cancer. In addition, endoscopic ultrasonography is recommended for patients who are surgical candidates to determine the locoregional extent of disease, but diagnostic endoscopic mucosal resection should be considered for a more accurate diagnosis in early stages. Flexible endoscopy with biopsy is the diagnostic test of choice in order to determine the presence and location of the cancer and to biopsy any suspicious lesions. The location and length of the tumor, the extent of circumferential involvement, and the degree of obstruction should also be noted. The guidelines recommend that the location and extent of Barrett’s esophagus be documented, if observed. More than one biopsy should be performed to obtain sufficient material for histology analysis. For early localized disease, research shows that using neoadjuvant chemotherapy, radiation therapy, or both after esophagectomy has a survival benefit in advanced disease when compared with surgery alone. As such, accurate staging information can help when deciding on therapeutic interventions. Dr. Varghese says that quality, research, and patient safety initiatives are critical components in efforts to provide the highest level of care for patients. “Using a multidisciplinary approach early may improve care by leading us to better diagnostic and staging evaluations. Although it can be time consuming, this approach may enhance outcomes, especially with continued progress that we’ve seen with technology and treatments.” He adds that future clinical practice guidelines will cover other important aspects of esophageal cancer, including Barrett’s esophagus, the role of multimodality therapy, and the choice of esophageal resection techniques. Varghese TK, Hofstetter WL, Rizk NP, et al. 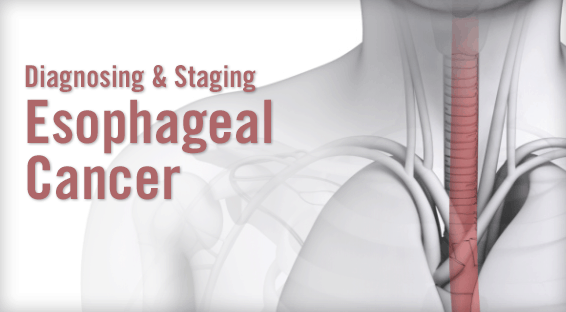 The Society of Thoracic Surgeons guidelines on the diagnosis and staging of patients with esophageal cancer. Ann Thorac Surg. 2013;96:346-356. Available at: www.annalsthoracicsurgery.org/article/S0003-4975%2813%2900872-2/fulltext. Daly JM, Fry WA, Little AG, et al. Esophageal cancer: results of an American College of Surgeons patient care evaluation study. J Am Coll Surg. 2000;190:562-572. Weber WA, Ott K. Imaging of esophageal and gastric cancer. Semin Oncol. 2004;31:530-541.
van Westreenen HL, Westerterp M, Bossuyt PM, et al. Systematic review of the staging performance of 18F-fluorodeoxyglucose positron emission tomography in esophageal cancer. J Clin Oncol. 2004;22:3805-3812. Puli SR, Reddy JB, Bechtold ML, et al. Staging accuracy of esophageal cancer by endoscopic ultrasound: a meta-analysis and systematic review. World J Gastroenterol. 2008;14:1479-1490. Rice TW, Blackstone EH, Rusch VW. A cancer staging primer: esophagus and esophagogastric junction. J Thorac Cardiovasc Surg. 2010;139:527-529. Hofstetter W, Swisher SG, Correa AM, et al. Treatment outcomes of resected esophageal cancer. Ann Surg. 2002;236:376-385. Thomas K. Varghese Jr., MD, MS, has indicated to Physician’s Weekly that he has no financial disclosures to report. Study: Can Zika virus infection prevent reinfection?